New Jersey Gov. Chris Christie speaks at a town hall-style campaign event at Hampton Academy, Feb. 7, 2016, in Hampton, N.H.
That's according to a two people familiar with his plans, who spoke to The Associated Press on the condition of anonymity because they were not authorized to speak publically. Christie spokeswoman Samantha Smith is still insisting "no decision has been made." Once seen as a Republican superstar, Christie's reputation was badly damaged by a scandal in which aides purposely created traffic jams to punish a local mayor who chose not to endorse Christie's re-election. He'll return home to finish his second term as governor of New Jersey, where he faces a slew of unsolved problems and rock-bottom approval ratings from residents polls show feel he neglected the state to pursue his national ambitions. Christie had staked his campaign on a strong performance in early-voting New Hampshire, where he headed immediately after his announcement speech, holding well-received town hall events. He racked up a long list of notable endorsements from state legislative leaders and, at the end of 2015, looked like he was breaking into the top tier after a video of him discussing a friend's struggle with drug addiction went viral. But when votes were tallied in the Granite State late Tuesday, it was increasingly apparent that Christie lacked the numbers needed to support a prolonged campaign. The attacks in Paris and San Bernardino in particular played to Christie's advantage, allowing him to talk about his previous position as U.S. Attorney in New Jersey and play up his law-and-order credentials. And a commanding performance during the last GOP debate before the New Hampshire primary earned him strong reviews. But with a field filled with numerous other options, including current and former governors and senators, Christie never consolidated support, despite being praised by both fans and rivals as one of the Republican party's best communicators. Christie, it seemed, had missed a better chance four year ago when he was begged by some of his party's most powerful statesmen and donors to run in 2012, when the field was weaker and smaller. 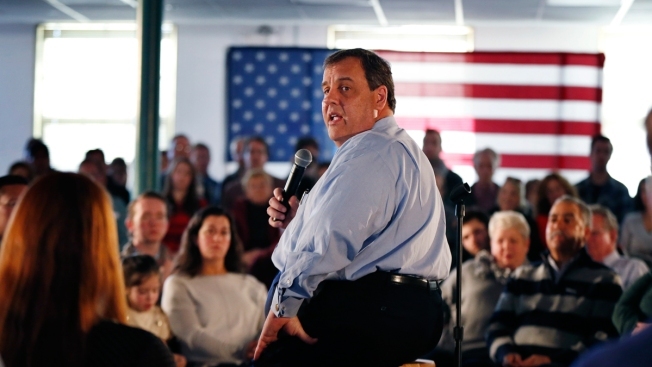 But Christie declined, saying that he didn't feel like he was ready. In the meantime, Christie's aggressive political team worked to rack up endorsements and wide victory margins in his re-election bid for governor as a springboard for 2016. While Christie first laughed off the suggestion that his team had anything to do with the plot, the denials quickly unraveled with the release of emails including one from a top aide that read, "Time for some Traffic problems in Fort Lee." Three people have been indicted in the scheme, including a former high school classmate of the governor who has pleaded guilty and is working with federal prosecutors. Christie joins a list of former Republican heavyweights to leave the race, including South Carolina Sen. Lindsey Graham and Former Arkansas Gov. Mike Huckabee. Louisiana Gov. Bobby Jindal, Wisconsin Gov. Scott Walker and former Texas Gov. Rick Perry bowed out before any votes were cast.